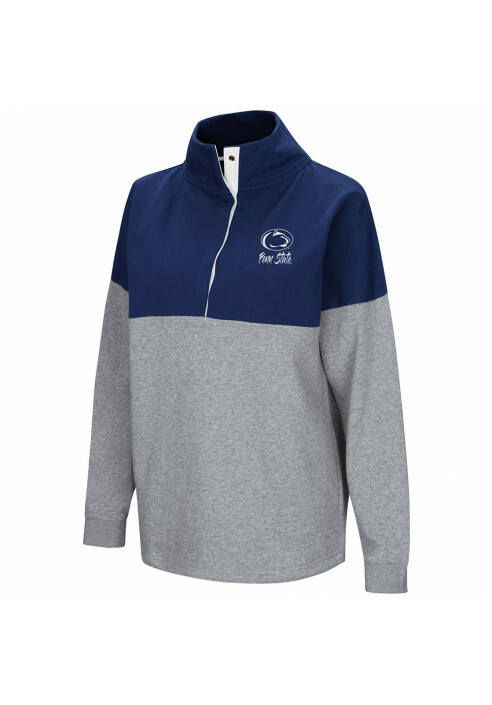 • Women's Penn State 1/4 Snap Sweatshirt by Colosseum. • Navy neck, shoulders and chest - rest is Gray. • Snap closure at High collar. 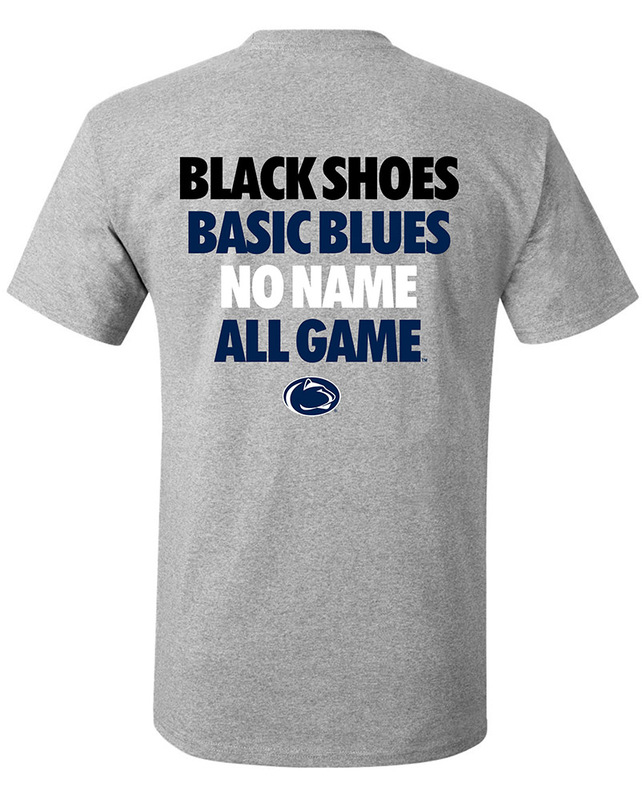 • Front - "Penn State," and the Nittany Lion Logo printed on left chest in White. 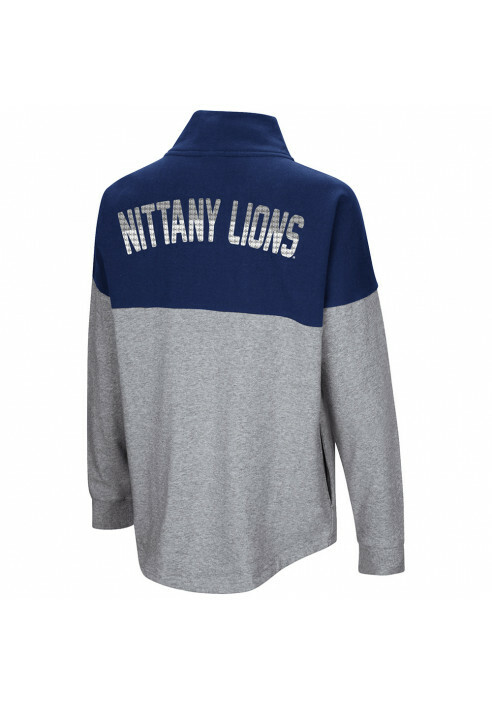 • Back - "Nittany Lions" in Silver & White sequins lettering.